Nancy and I went here over 10 years ago, and have always liked charm of this restaurant. I wouldn’t say that I’m a big fan of their food, but maybe its quaintness, and its affiliation with the movie. We met up at the restaurant after I spent my day at work. The wait was long so they had to kill time at Dylan’s Candy Bar. After an hour-long wait, we’ve worked up an appetite. But I must say the highlight for me is the dessert. 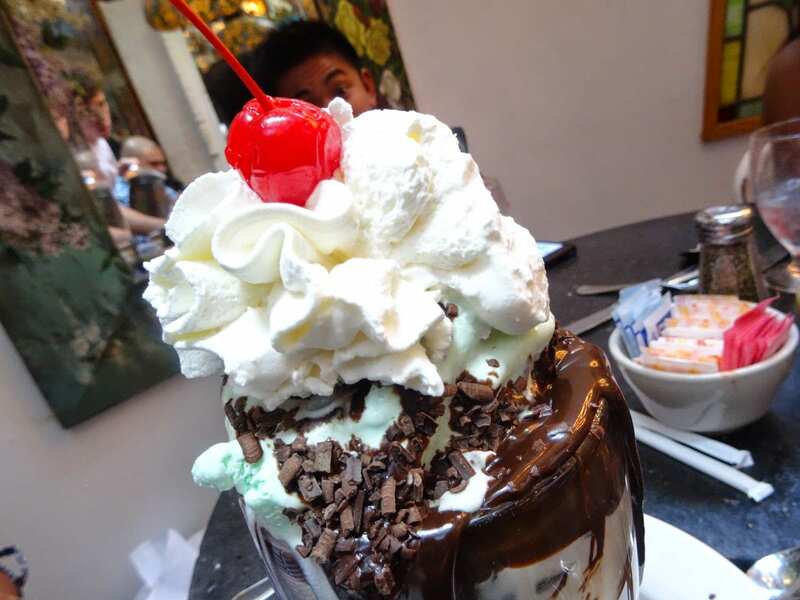 It was a hot fudge sundae with different ice cream flavors. The fudge was so hot that it melted the ice cream quickly. 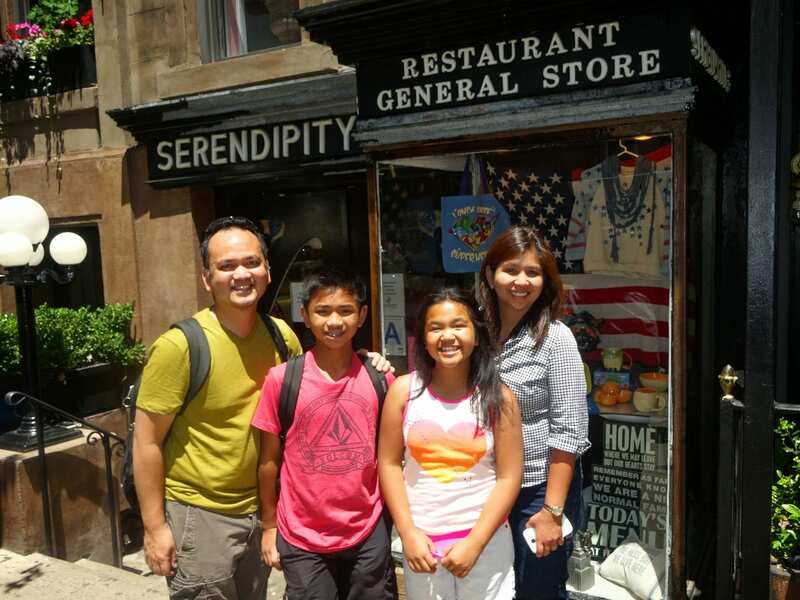 After Serendipity, we went towards Carnegie Hall, it was a bit late for us to catch one of the tours, but I was still able to take the kids to this amazing hall. We then decided to walk towards Central Park, and en route to the park, I saw Allegro Pianos on W. 58th St. Allegro is a piano showroom. Ethan and Madison recently started to take piano lessons (over 1 year ago). Back at home, I hear them constantly play and practice. Now that we’ve been on vacation, I missed hearing them play. The lady in the showroom invited us to the back room, where all of these pianos were located. 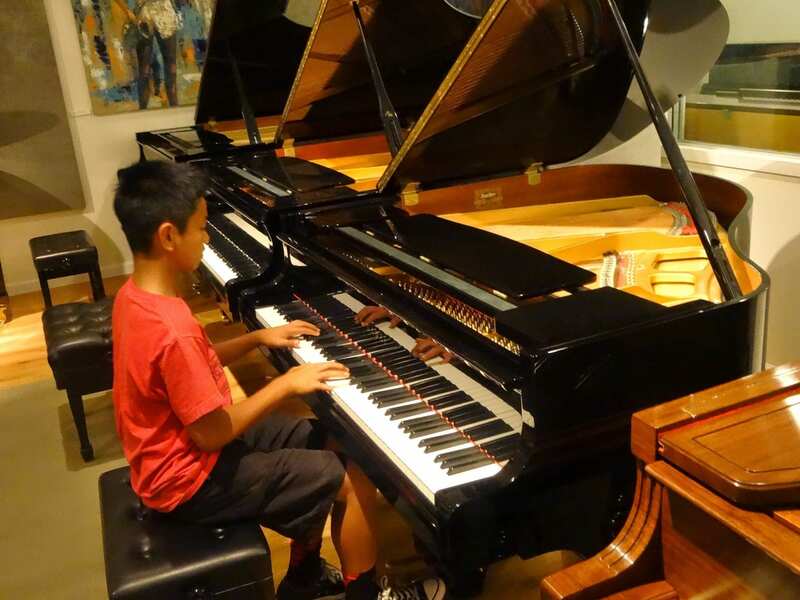 The pianos ranged from $10,000 to over $50,000 – music to my ears hahahaahaha! 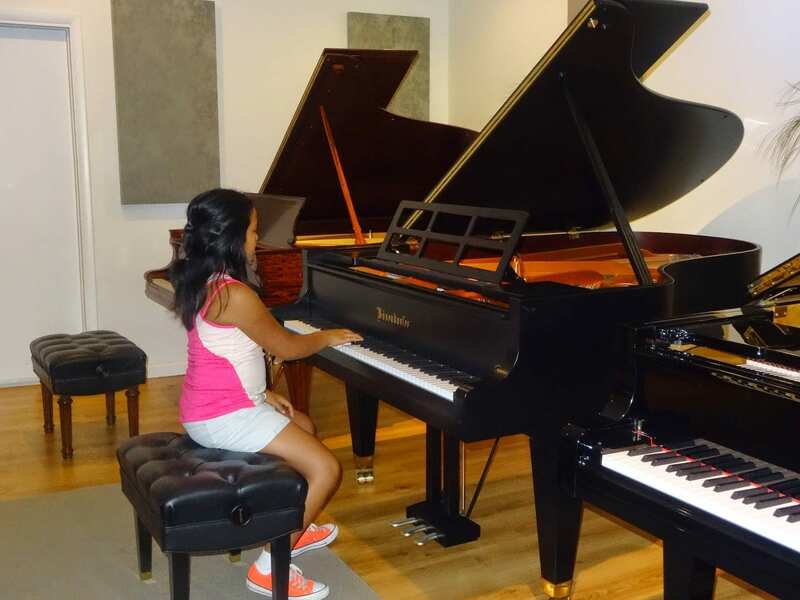 So there….my kids took their own piano, and started to play their favorite songs. It was a good little break for us, and I’m glad that this was their mini New York piano debut just a block away from Carnegie Hall. After leaving Allegro Pianos, we decided to walk a couple of blocks toward Central Park. It was another perfect summer afternoon warm, in the 80s, just a great day stroll around the park. Our kids got to be kids. They found a playground with a swing. We all watched Matilda last night, and one of the scenes from Matilda shows the school kids riding a swing. Here’s the link When I Grow Up (Matilda video). So in an attempt to swing like the school kids in the show, this is what happened in Central Park! died on Aug 11. It was yesterday late in the afternoon when the news broke out. I was at the Cheesecake Factory, and from where I was sitting, there were 2 flat screen TVs, one of which flashed multiple pictures of Robin Williams. I couldn’t read what was written, so I had to get up and was shocked at what I read. 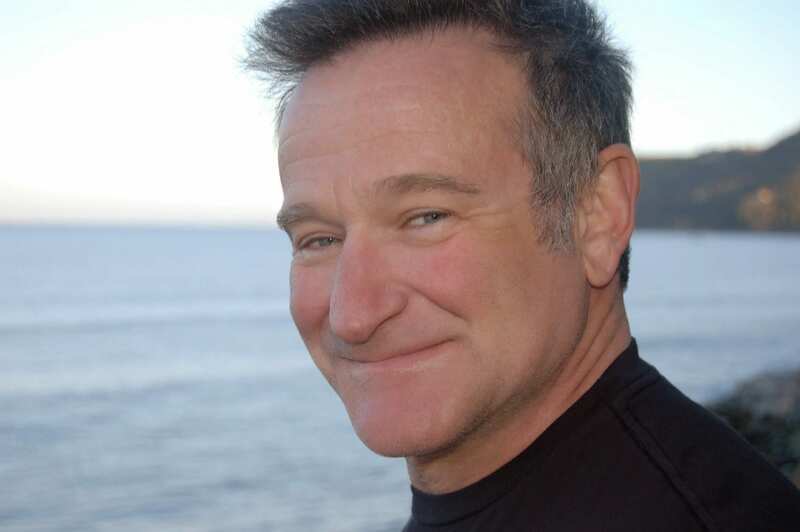 Not Robin Williams, I said. In the movie, Aladdin, Robin Williams made us believe the magic that was hidden in that lamp. There was magic in Robin Williams. Many of us have been enchanted by his humor. He was able to make us laugh in many of his movies and TV shows. He was pure genius in Aladdin. That movie would not have been that great of a hit without Robin Williams. In Mrs. Doubtfire, he made us laugh hysterically, yet there were poignant moments in that movie that showed you the father-side of his character. I can’t say that I’ve seen every movie he made, but I certainly have enjoyed the ones I’ve seen. Now, I’m curious which of his movies are on Netflix. Thank you, Robin. You set the comedic bar. 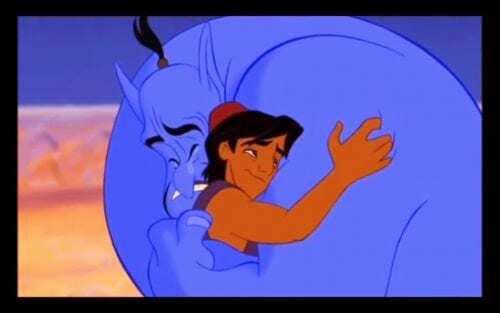 May you rest in peace, Genie, you are now free. Now back to the blog I wrote a few weeks ago….. Although we still had 2 days left in the city, Friday night was the only other chance for us to watch a show. 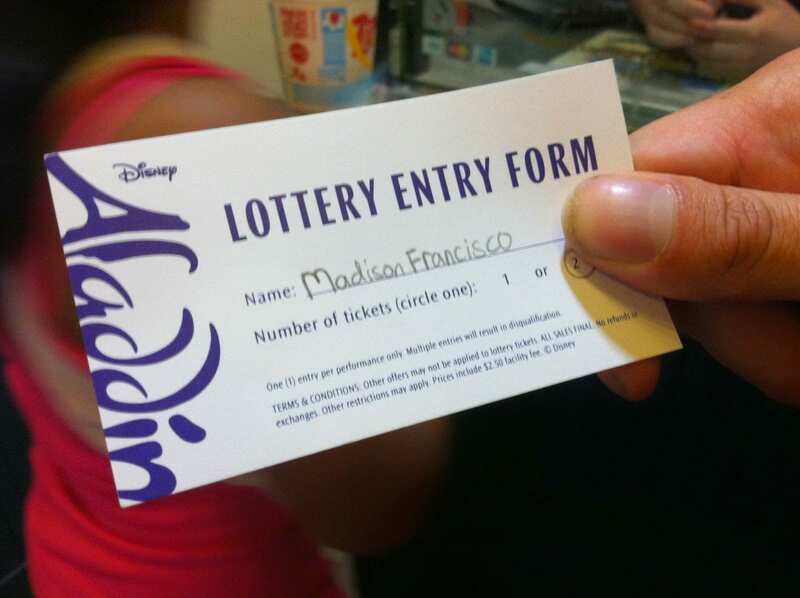 We tried to win Aladdin lottery tickets earlier this week, but did not win. Tonight, the Genie worked his magic. Madison, with her lucky charm and all, got picked!!!! Yes!!! Since we can only get 2 tickets, we decided to let Madison and Ethan watch Aladdin. 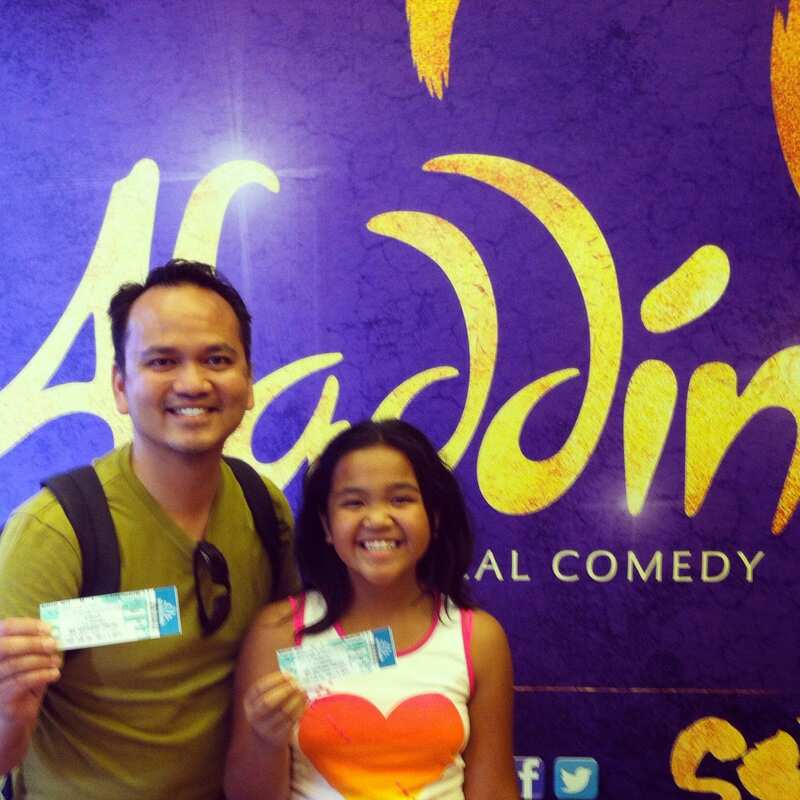 While they watched Aladdin, Nancy and I hung around near the area. We’ve seen the Stage version at Disney’s California Adventure, but this was their first time to catch a brand-new Broadway show. I was so glad that on our last attempt that one of us got picked! From a theatre-adventure perspective – MISSION ACCOMPLISHED….Wicked (2 times), Newsies, Rocky, Matilda, and Aladdin….all of them were via Rush and Lottery (with the exception of Rocky – that was a gift)!!! So there you have it…that’s Day Seven….lucky number 7….one day more!! !